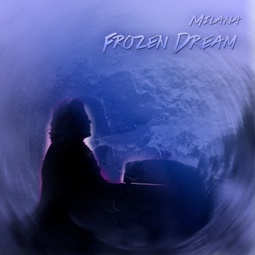 The album begins with “Invitation to the Dream,” a beautiful prelude that goes from softly mysterious to a sweeping dance-like feeling and back to the softness of the beginning. The title track has the left hand mostly in the dark, deep bass of the piano as the right hand swirls freely in the higher notes. “Summer Tale” brings a light and carefree innocence to the story - a favorite! 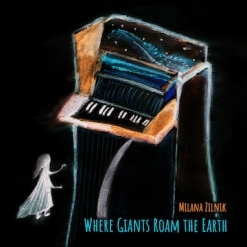 “The Piano As Big As a Tree” is the piece that Milana improvised when she first “met” The Giant in Germany. It was originally recorded on a camcorder and was transcribed when she returned home so it could be recorded properly. The piece captures the magic of discovery as well as the feeling of “floating amidst the ocean of sounds” - also a favorite. “Autumn Tale” is somewhat darker than its summer counterpart with its easy grace and relaxed tempo. “Haunted Waltz” is the perfect title for this mysterious bluesy/jazzy dance - gorgeous and very expressive! “Winter Tale” makes me think of sitting at a window watching it snow while imagining sparkling fairies dancing among the snowflakes. I really like “Walking Away,” a slow somber piece that expresses deep emotion and perhaps regret. 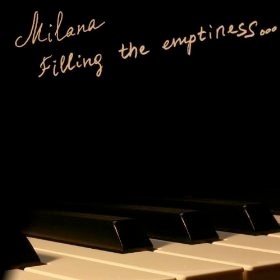 “Solitude” is very reflective and is something of a pianistic soliloquy that expresses sadness and loneliness. “Spring Tale” becomes much lighter as it celebrates rebirth and renewal. The bright and lively “Catching Up” has a free-flowing energy that is positively infectious. “Coming Home” effectively expresses excitement and anticipation at returning home after the year-long journey to Land of the Giants - a great closing to a great adventure! Where Giants Roam the Earth is available from Amazon, iTunes and CD Baby. 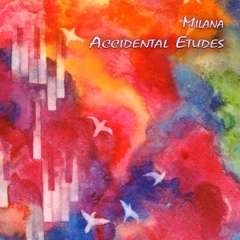 Fellow pianists will be delighted to learn that a companion sheet music book is also available. Both are highly recommended!